Piston seal for contaminated or abrasive dynamic sealing application. Scraper seal lip design on the external lip prevents particles from accumulating under the seal lip, reducing wear and extending life expectancy of the seal and its mating hardware surface. *Standard cross-sections (CS) listed and non-standard sizes can be provided for any shaft size up to 72 inches. ** Based on using no wear rings, larger clearance required if using wear rings. For pressure above 3.000psi or temperature above 200°F contact engineering for clearances. Surface finish: Shaft (A) plunge ground, Ra 4-8µin - Housing (D,L) Ra 16-32µin. *Standard cross-sections (CS) listed and non-standard sizes can be provided for any shaft size up to 1800mm. 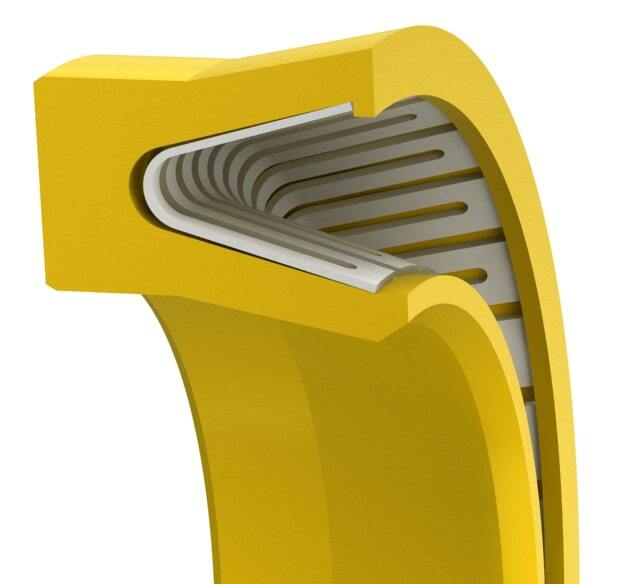 Based on using no wear rings, larger clearance required if using wear rings. For pressure above 210 bar or temperature above 95°C contact engineering for clearances. 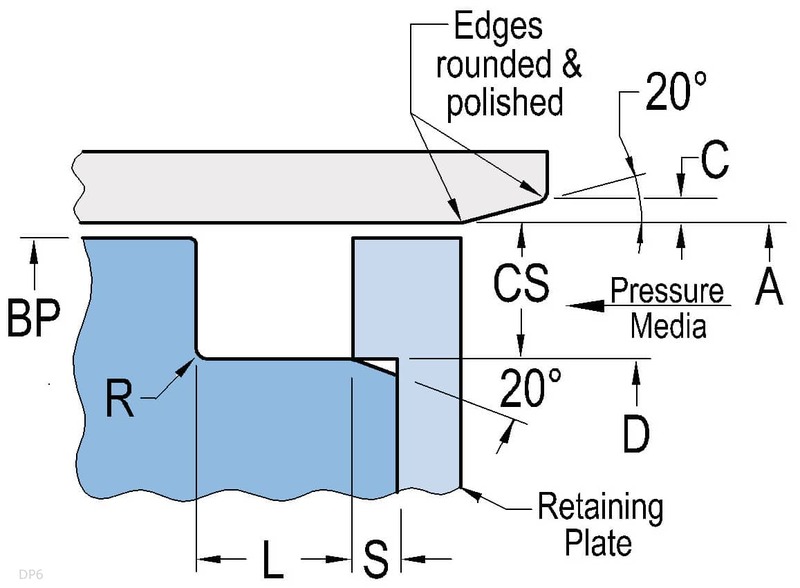 Surface finish: Shaft (A) plunge ground, zero lead Ra 0.1-0.20µm -Housing (D,L) Ra 0.4-0.8µm. Shaft material hardness 55-65RC. See Technical Info for more information.